I-75 to Buttermilk Pike, R on Collins, R on Amsterdam, R on Villa, take 1st L to stay on Villa, house on Right. Gorgeous 3 BR, 2 BA home in Villa Hills! Beautiful updated kitchen. Open floor plan throughout kitchen, dining area, and living room. Walkout to gorgeous deck and spacious, level backyard on lovely corner lot. Brand new paint in living room, entry, and hallway! So many updates throughout the home, including kitchen, roof/gutters, HVAC, garage doors, siding, driveway, retaining wall. 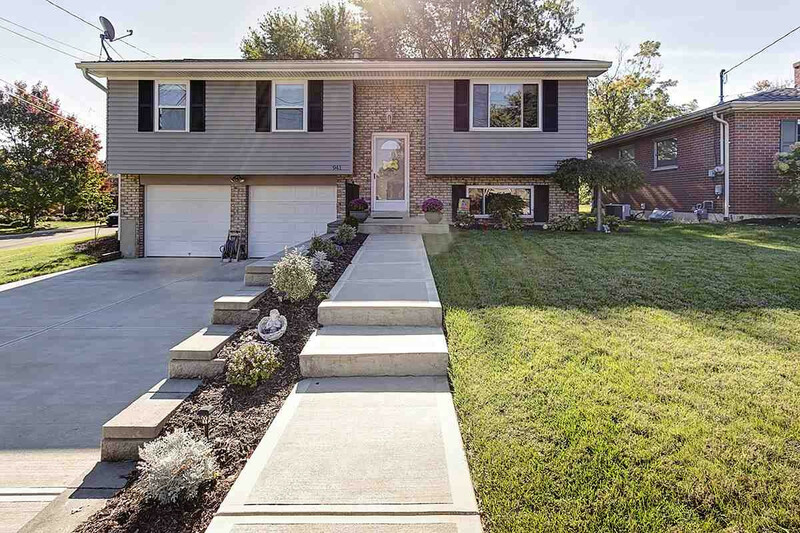 Fantastic finished lower level boasts a home theater system and another full bath. Move right in! This listing courtesy of, Keller Williams Assoc Partners .